PREREQUISITES: Students will have previously taken a 40-hr or 24-hr OSHA Hazardous Waste Worker course and will have a valid unexpired certificate. Are you someone who supervises the activities of those who have 24 or 40 hour HAZWOPER certifications? 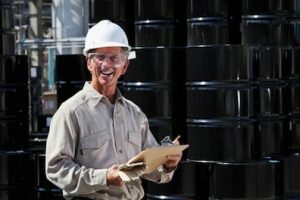 If you do supervise either General or Occasional Site Workers, OSHA requires that you take this additional Hazardous Waste Supervisor training program. Like our other online hazardous material courses, it too is filled with exercises and interactive projects that help you to learn the material in a self-paced manner. Upon completion of the OSHA Hazardous Waste Supervisor training course, an OSHA 8 Hour Hazardous Waste Supervisor certificate is issued that shows that you have fully satisfied the OSHA requirements for a Hazardous Waste Supervisor. Don’t forget! A Supervisor course does not satisfy your annual Hazwoper refresher requirement. What have our previous students said? This program meets the competencies outlined in the OSHA regulation. Meet the requirements of 29 CFR, Part 1910.120 and other applicable state regulations for certification as Hazardous Waste Supervisor. Understand the various laws relating to hazardous materials handling and response. Review the role of the Supervisor at the hazardous waste site. Demonstrate knowledge of the elements of a site safety plan and how to implement it at the hazardous waste site. Demonstrate the ability to develop a site safety plan.